APPROVED CARS AND FINANCE ARE PLEASED TO OFFER THIS NISSAN QASHQAI 1.6 TEKNA IS DCI 4WD S/S 5 DOOR 130 BHP IN METALLIC BLACK WITH ONLY 78,000 MILES AND A FULL SERVICE HISTORY. THIS VEHICLE HAS A MASSIVE SPEC SUCH AS SAT NAV, BLUETOOTH, FULL LEATHER SEATS, REVERSE CAMERA , CLIMATE CONTROL AND MUCH MORE. THIS IS A PERFECT FAMILY CAR WITH A INCREDIBLE SPEC NOT A VEHICLE TO BE MISSED. APPROVED CARS AND FINANCE ARE PLEASED TO OFFER THIS NISSAN NOTE 1.2 ACENTA PREMIUM DIG-S 5 DOOR AUTOMATIC 98 BHP IN METALLIC BLUE WITH ONLY 50,000 MILES ON THE CLOCK WITH A FULL SERVICE HISTORY. THIS VEHICLE HAS A GREAT SPEC SUCH AS BLUETOOTH, SAT NAV, ELECTRIC WINDOWS, ALLOY WHEELS AND MUCH MORE. THIS IS A VERY PRETTY NISSAN NOTE WITH A FULL SERVICE HISTORY WHICH HAS BEEN WELL LOOKED AFTER, AND NOT A VEHICLE TO BE MISSED. APPROVED CARS AND FINANCE ARE PLEASED TO OFFER THIS NISSAN QASHQAI 1.5 N-TEC DCI 5 DOOR 105 BHP IN METALLIC GREY WITH ONLY 52,000 MILES AND A FULL SERVICE HISTORY AT 5K, 11K, 17K, 24K, 29K, AND 43K. THIS VEHICLE HAS A MASSIVE SPEC SUCH AS TOUCHSCREEN DISPLAY, BLUETOOTH, SAT NAV, CRUISE CONTROL AND MUCH MORE. THIS A PERFECT FAMILY VEHICLE, A EXTREMELY POPULAR VEHICLE A NOT A VEHICLE TO BE MISSED! 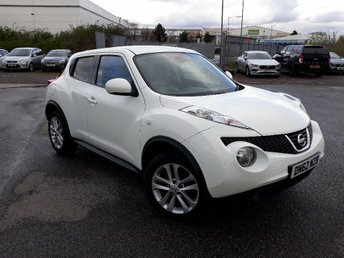 2012 NISSAN JUKE 1.5 TEKNA DCI 5 DOOR 110 BHP IN WHITE WITH 71000 MILES WITH SAT NAV AND LEATHER INTERIOR. 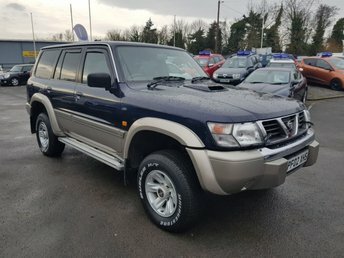 APPROVED CARS ARE PLEASED TO OFFER THIS NISSAN PATROL 3.0 SE PLUS TD 5d 156 BHP IN METALLIC BLUE WITH 97000 MILES IN GREAT CONDITION INSIDE AND OUT WITH FULL LEATHER INTERIOR,7 SEATS,ALLOYS AND LOTS MORE WITH SOME SERVICE HISTORY AN ABSOLUTE BEAST IDEAL FOR THE IMMINENT SNOW (THEY DON'T MAKE THEM LIKE THIS ANYMORE)BUT DUE TO ITS AGE IS BEING OFFERED AS A TRADE CLEARANCE CAR WITH AN MOT. If you're looking for a fun city car, a spacious family hatchback, a sporty crossover or a serious off-roader, Nissan is a manufacturer worth serious consideration. The Nissan Micra is a class-leading supermini, while the firm's Juke model set the standard for crossover vehicles. Browse the complete range of used Nissan cars for sale in East Peckham here on our website and let a member of our team help you find a great deal on your next pre-owned vehicle. Here at Approved Cars Ltd (Approved Cars Izusu) we have a reputation for supplying quality used cars at affordable prices and we ensure that every vehicle is thoroughly tested before going on sale. Start the search for your used Nissan today.